National Farmers Market Week is August 7-13, so we’re sharing some good things (pictured) from Beaverdale Farmers Market vendors. 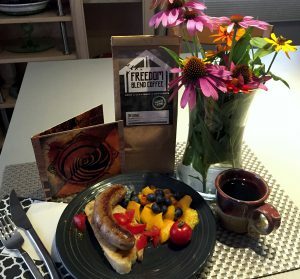 A tasty bratwurst from Remnant Hills Farm‘s pasture-raised pork, accompanied by peaches and berries from Storybook Orchard in Story City and tomatoes from Dogpatch Urban Gardens. 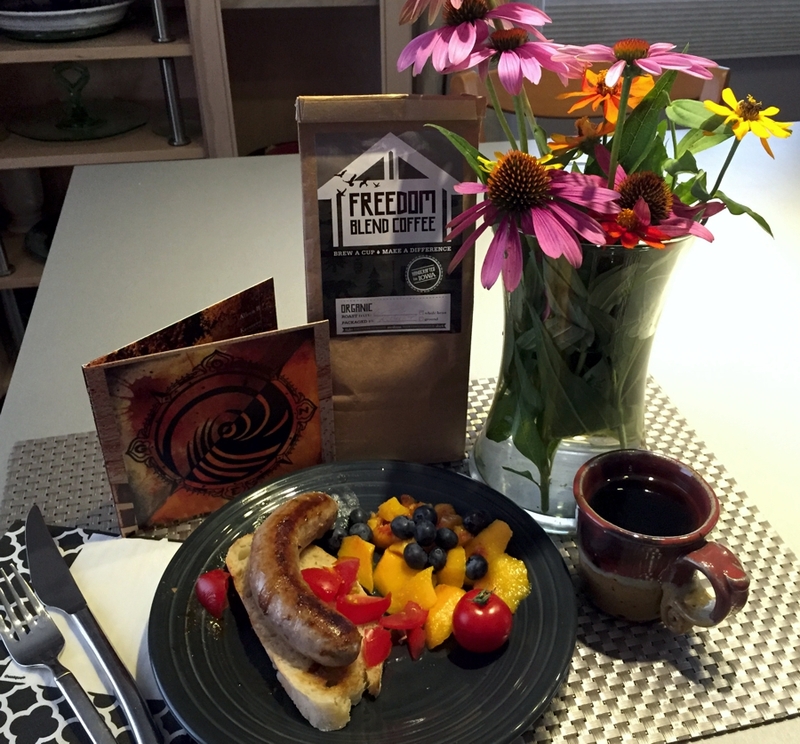 Coffee is Freedom Blend’s organic roast, flowers from Mao’s Garden and Dixie’s Garden Art. Music on CD from The High Crest, who will perform at the August 9th market. These are today’s favorites.